Creating a weekly meal plan saves time and money, improves nutrition, makes cooking more manageable and gives you more control over what you put on the table. 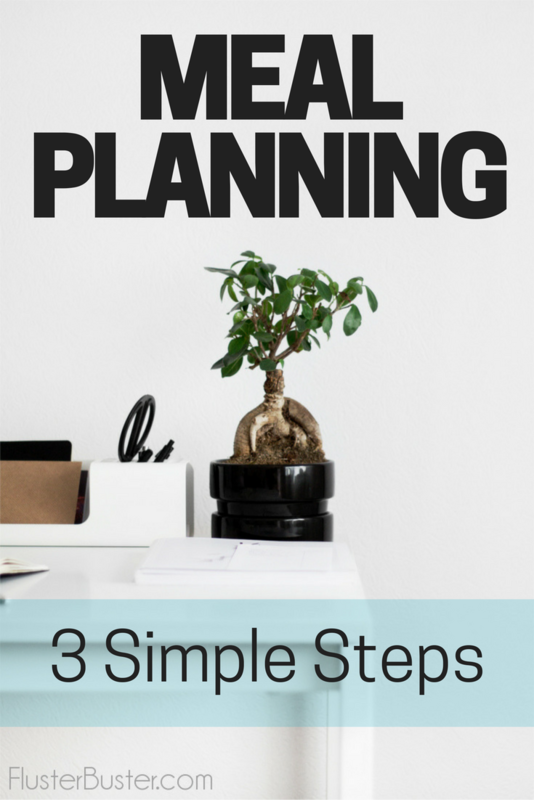 These 3 simple steps, makes meal planning a breeze. If you’re on the hunt for how to create a meal plan, I guarantee you’re gonna’ find a lot of options out there! Meal planning is a fairly simple task, but you wouldn’t know it from some of the articles that you’ll find. It’s amazing to me how difficult some people make this task. I’ve been planning meals since I was very young. My mom taught me how she planned her menu, which was taught to her by her mother. It’s simple and has worked well for decades. Who can argue with something that works? 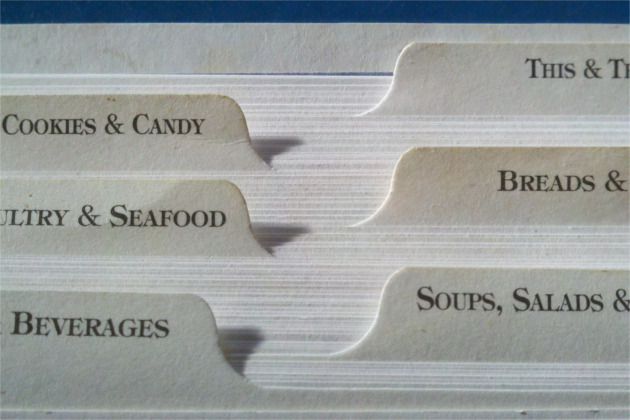 There are many different ways to store recipes, you need to find a system that works for you. I personally store my recipes, the old fashioned way, in a recipe box, it’s what I’m used to and it works well for me. When I find a recipe that my family really likes, I jot it down on a recipe card, label it with a category and then file it in my recipe box. You’ll find all kinds of recipes in my recipe box, favorites that my mom and grandma have handed down, ones I’ve found (and liked) from the internet, even simple meals like hot dogs. Every meal that my family has enjoyed over the years has been written on a recipe card and placed in the recipe box. Each recipe is then categorized, usually with the category written in the upper right hand corner of the card. Then it’s filed with other recipes within the same category. The categories are kept pretty simple, which helps make meal planning easier. When you find a recipe that your family likes, no matter what it is, store it away with your other favorites. It’s surprising how many family favorites we’ve made that we’ve forgotten about because we didn’t take the time to write it down or store it away. 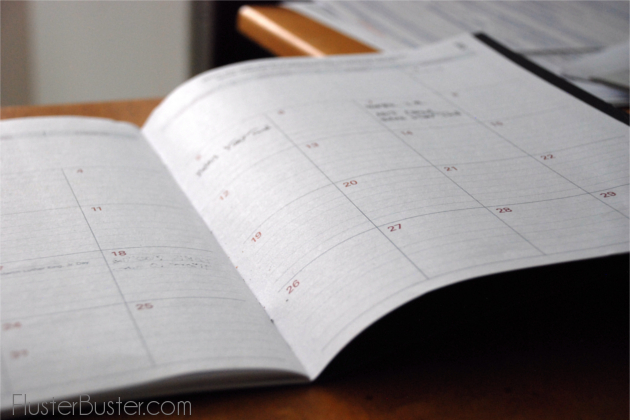 You need to figure out what you’ll create your menu on, a notebook, scratch paper, dry erase board, a calendar, your phone, whatever works best for you. You also need to decide whether you want to create a menu for a week, two weeks or even a month. Once you’ve got that all figured out the next part is a breeze. I create my menu on a menu planner template that I use. The template is for a weeks worth of meals, which includes breakfast, lunch and dinner. I’ve been using this method a long time because it’s simple and it works. If it ain’t broke, don’t fix it. Before beginning to fill out your menu, pick a theme for each day of the week. Once you’ve picked your themes, it’s now time to dig into your recipe box and find some recipes. Did you notice that the themes are the same as the recipe categories? This makes it super simple for picking out recipes that match your themes. Using the recipe cards, you should have one for every meal on your menu, copy the ingredients to your shopping list. I find it helpful to use a pencil when I make my list, in case I have to change quantities of one of the ingredients. 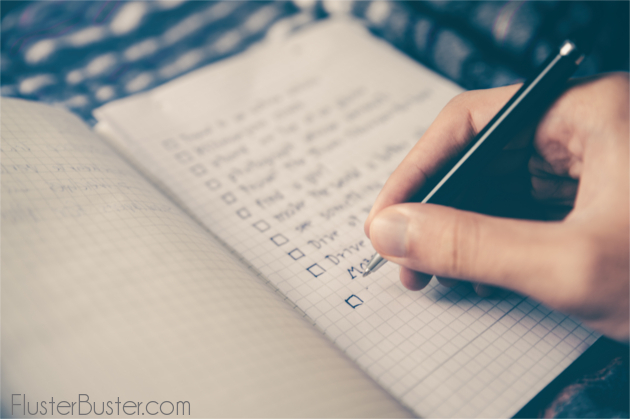 To create my shopping list I personally use a shopping list template that contains the ingredients I use most often, with places to write in other ingredients. This template saves me a ton of time because it doesn’t require a lot of writing and it’s categorized by department, which makes shopping more efficient and a whole lot faster. Remember meal planning doesn’t have to be complicated, follow these three simple steps and you’ll have it done in no time. Just wait until you experience all of the benefits, you’re not going to know what to do with all of the time and money you’ve saved. Do you want to save even more time and money? Check out the guest post I shared on My Sweet Mission, Simple Steps to Meal Prep. If you’re looking to free up even more time this will help take meal planning to the next level. I’m all about “simple”! And, I’m not a menu planner by nature, but I definitely see the value in doing it! I think I could follow these easy steps! Thank you! I have been a meal planner for many years, ( to many to say). It is the greatest life skill I ever learned. You Meal Panning post is a very good start for anyone with great ideas! Hope you are having a great weekend and thanks so much for sharing with us at Full Plate Thursday! I started working on making a recipe list but sort of let it fall through the cracks. Each month I am going back to the past months to get ideas. I love your system! I will have to give it a try. If you’d ever be interested in doing a guest post about meal planning on my blog please let me know! I’d be lost without my meal planning, it saves me so much time! Great tips! 🙂 I use a binder to store my recipes. But I’m not a meal planner, nor was my mom. Thanks for sharing at the Sew It Cook It Craft It Link Party!